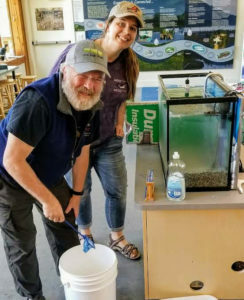 Join the team of happy volunteers who keep the Cowichan Estuary Nature Centre going and improving. Just fill out the contact form and someone will get back to you. No special qualifications are required, training is provided. 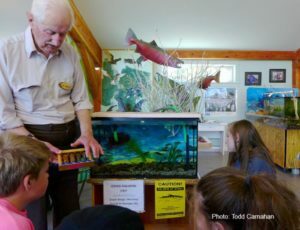 There are many opportunities to volunteer for the Cowichan Estuary Nature Centre. 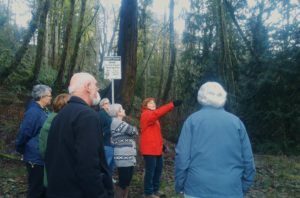 – Be a nature interpreter for school and group programs. Program volunteers lead small groups of children or other visitors at an activity station. Training is provided, and you have the opportunity to be creative too. Be a volunteer nature interpreter and welcome visitors during the hours we are open to the public. Orientation is provided as well as ongoing skills development opportunities! Are you handy with a paint brush or a hammer? Help with maintenance and improvements at the Cowichan Estuary Nature Centre. Help create new interpretive displays, bringing your arts, crafts, building, and design skills to scientific and environmental education. Join one of our other citizen science activities. Join a committee to help operate, manage or raise funds to support the Nature Centre. Help put on a fundraising event. Contact us today! We’d love to have you join the team.